Isbell Services, Inc. has consistently been rated one of Central Alabama’s top service providers in our industry. Over 90% of our business is generated through referrals or repeat business. Isbell Services, Inc. has provided Central Alabama residents with quality home improvement services since the company was established in 1998 by Jeff Isbell. Family-owned and operated, the mission of our business is to provide outstanding customer service and focus on client satisfaction. We maintain long-term relationships with our prior customers. Isbell Services, Inc. continually updates the certifications of its installers to ensure that any services we provide your family is installed according to the manufacturer’s warranty requirements. 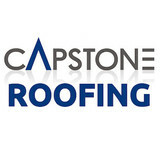 We build strong relationships with our suppliers to get you the best pricing available. All Around The House - Contractor is a family owned business that has been serving Tuscaloosa and surrounding areas since 1992. We provide quality materials and workmanship for the projects you may have around your house. 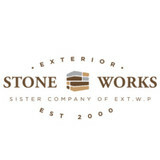 With over 25 years of experience in the construction industry, Exterior Stone Works will work with you to make your visions a reality. We add stone to about anything you can think of, walls, gables, columns, indoor and outdoor fireplaces, retaining walls, patios and more. Create a unique and distinctive appearance with the addition of stone to your home that you, your family and friends will enjoy for years to come. In addition, the investment you make will double in value, for example, add $5k in stone and see your home value increase by $10k. Our past and current projects include high-profile homebuilders in the Birmingham market such as Signature Homes and Newcastle homes and many restaurants including Jack’s, Tazikis, Dairy Queens, Taco bells, and many others. We have also installed several large mall projects including the Grove on highway 459 in Hoover and the Shoppes of Grand River in Leeds Alabama and now we are taking this experience further into the homeowner market to provide a quality job at a fair price. Isbell services has been in business for 30 years.. We specialize in home exteriors and insulation. 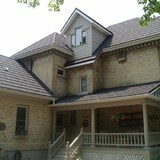 The exterior of residential homes is our specialty. Windows are both an interior and exterior component of a home. The outside elements are tough on the exterior of a home. Choosing the right siding, paint, windows, doors, trim and roofing is a very important decision. We have been serving homeowners and contractors since 1976. With 40 years of experience and the clientele of hundreds of homeowners and general contractors without a single complaint to the BBB a homeowner should at least consult with Lifetime Building Solutions prior to choosing a contractor to do their project. What types of siding services do County Line exterior contractors provide? Wood siding needs more maintenance than less-expensive, low-maintenance vinyl siding, but with proper care it will outlast vinyl siding, which can fade and crack over time. Your County Line, AL contractor might also suggest fiber cement siding, which is fire resistant and termite-proof and can come with a warranty of up to 50 years. Find siding and exterior contractors in County Line, AL on Houzz. Narrow your search in the Professionals section to County Line, AL siding and exterior contractors. 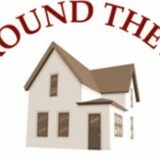 Find out how long a County Line, AL exterior remodeling contractor has been in business, view portfolios, read reviews and get contact information.